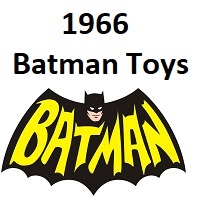 Shop our online toy store where we specialize in 1966 Batman toys, action figures and collectibles from the classic TV series starring Adam West and Burt Ward. We also offer Batman toys ranging from vintage to modern day Batman toys and collectibles. Our website features hard to find, limited edition items that are not available in stores. Free Shipping within the United States! Be sure to check our blog for great articles and cool videos on the 1966 Batman TV series and more. Last Updated: Feb 22, 2019 Listing Expires: Sat Feb 22 16:02:56 2020 This listing has been viewed 133 times.